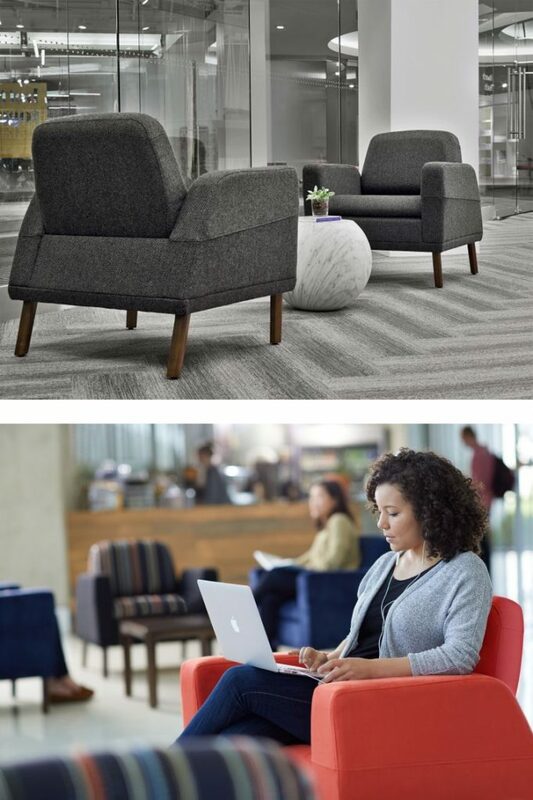 The Atwell collection of guest chairs, lounge seating, and tables puts people at ease, no matter where they wait. The light scale, contemporary design of the Atwell collection helps create nurturing settings. Molecularity and ease of reconfiguration provide a wide range of application choices and flexibility in space planning to enrich the user experience. Coordinating occasional tables provide small work surfaces for people as they wait, whether working alone or gathering in groups. Access to power for charging mobile devices helps keep them connected to their work, friends, and family.